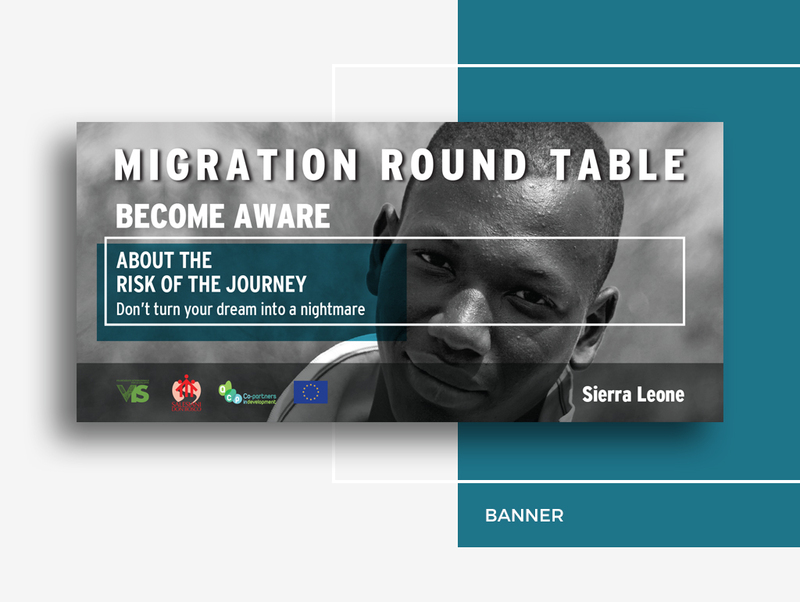 The non-governmental organization VIS, based in Italy but with different projects in West Africa, asked us to design their new campaign on the risks of irregular migration because everybody has the right of freedom of movement and the right of adequate living conditions. 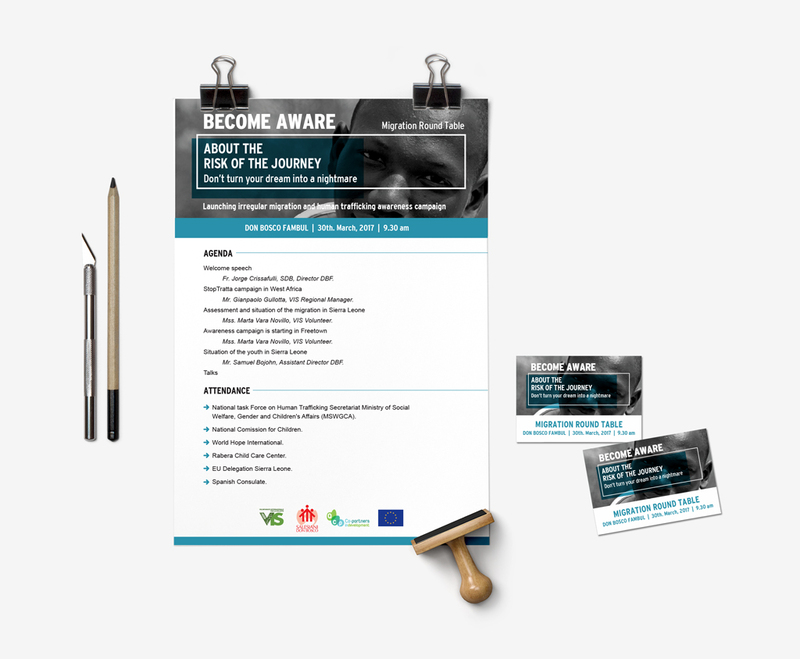 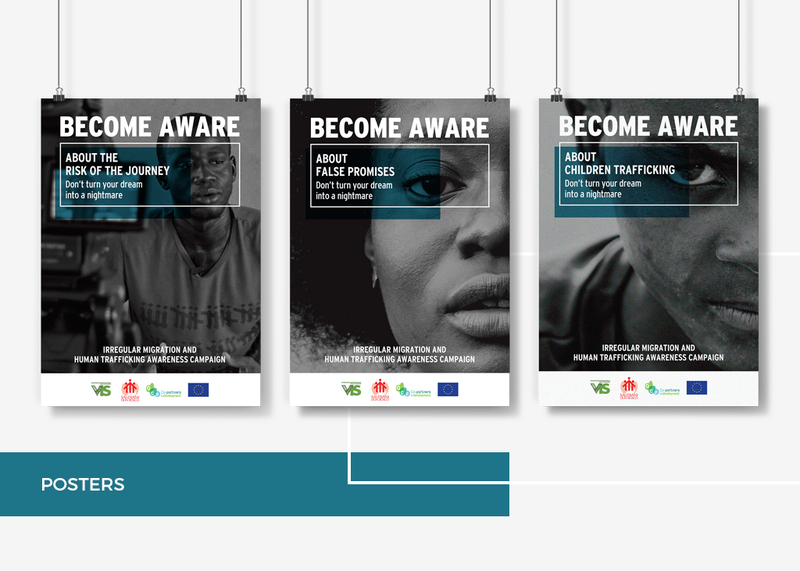 We developed a full campaign – banners, roll-ups, id cards, invitation letters and small multimedia pieces (videos) – to support all the activities the NGO was developing in Sierra Leone. 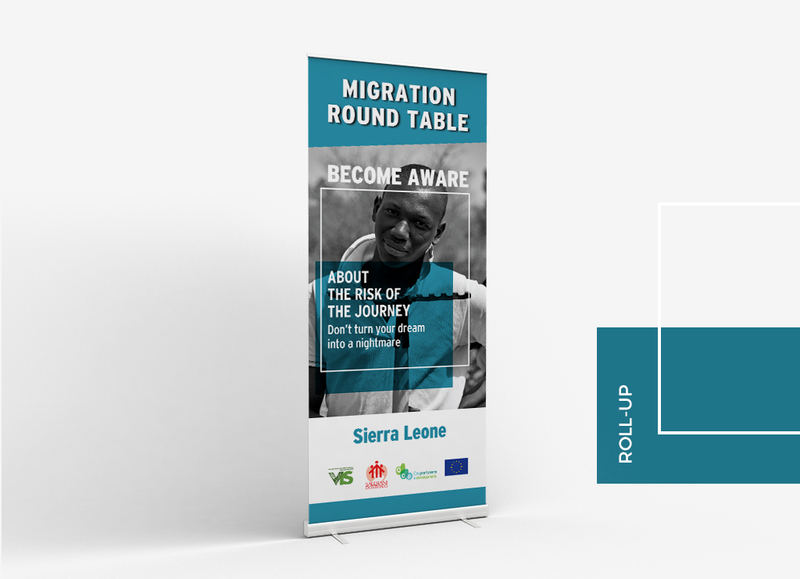 Having the opportunity to share the experience with returnees, who explained all their experiences crossing the desert, helped us to reinforce the message the organization wanted to share.